Bachelorette, Video-a-Polooza, Where Are They Now? Many former stars of The Bachelorette have gone on to live a very public life, continuing on with reality TV or writing books about their experience on the show. However, Season 2 ‘Bachelorette’ star Meredith Phillips has kept a very private life since she appeared on the show in 2004, and in a new interview with the Reality Steve podcast, we may now know why she’s been reluctant to discuss her stint as ‘The Bachelorette’: she claims she was sexually abused while filming her season. 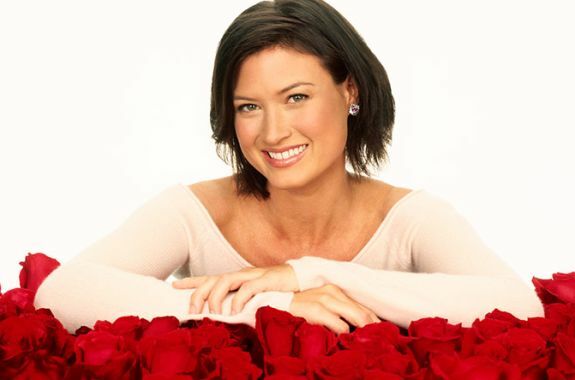 “In this podcast, Meredith reveals for the first time a story of an alleged sexual abuse that happened to her while she was ‘The Bachelorette,” Reality Steve says in the episode intro. 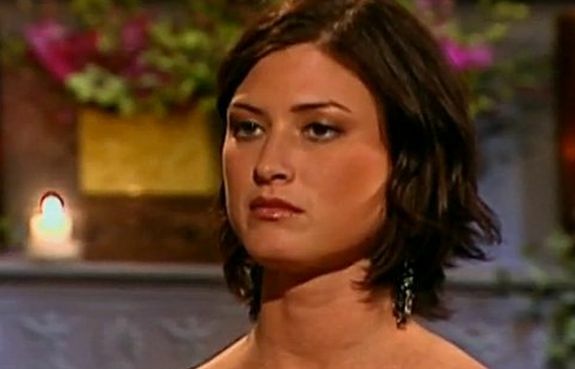 Meredith’s season of ‘The Bachelorette’ was filmed in October and November 2003 and aired in January and February of 2004. When Reality Steve asked Meredith what the hardest thing she had to deal with while being ‘The Bachelorette’ was, Meredith pauses, almost as if she’s trying to decide if she wants to “go there,” and then her story of alleged sexual abuse comes tumbling out. Reality Steve is left stuttering and he attempts to get Meredith to clarify her story. “You were roofied by a producer?” he asks. “By a masseuse that a producer hired to come into my room and give me a massage,” Meredith said. “She said, ‘OK I’m going to give you a pill…I just assumed it was an aspirin or something to loosen up my back or Tylenol or something and it definitely wasn’t that, that’s for sure. Meredith stated that the alleged incident happened in the early part of her season, when she was still filming in Los Angeles. Reality Steve asked Meredith if she considered quitting the show after the alleged incident happened. “There definitely was a part of me that was like ‘I don’t want to be a part of this,’ that’s for sure, but I’m also the kind of person who finishes what she starts, and, of course, I couldn’t end it [contractually],” she said. Reality Steve commended Meredith on being brave enough to talk about the alleged incident. Meredith said she didn’t speak up for a specific reason. In 2013, she came forward and discussed her struggle with alcoholism. On the podcast, Meredith stated that her drinking contributed to the breakup of her post-show marriage. She said that although she went to rehab in 2011, she is no longer maintaining her sobriety but doesn’t feel that she has a problem with alcohol anymore. “When my parents passed away, it ruined me. It still ruins me, but I don’t use alcohol to change that anymore,” she said. Meredith said she’s now working as a sous chef in Oregon. The producers of ‘The Bachelorette’ have yet to comment publicly on Meredith’s claims of sexual abuse. However, Reality Steve gave his thoughts on what Meredith said. “Meredith did not reveal the name of the alleged perpertrator in this so there’s really no way for me to confirm the details on that, but as with any story, we’re only hearing on side,” Reality Steve says on the podcast. “I would encourage anybody to keep an open mind until all sides of the story are told, if they are. I am not doubting her claim of sexual assault but why on earth would you accept an unknown pill from a stranger?! bull crap. this was apparently 14yrs ago. LIAR. I’d imagine it took her 14 years for fear of responses just like this one. Empathy goes such a long way, and if you can’t dig deep enough to find that..how about just say nothing at all? You can consider yourself lucky if you have not had to endure any trauma so horrible that it stays with you for a decade or several.